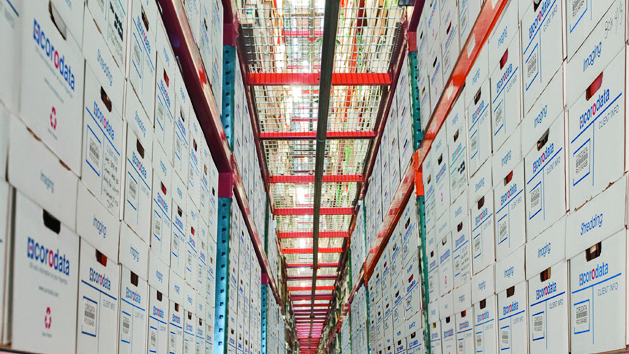 Secure records management is no easy task, which is why we don’t take it lightly. When you entrust your most valuable business assets to Corodata, we make it our responsibility to keep your sensitive records confidential, protected, and secure. We guarantee that our six-layer secure records management systems will keep your business in full compliance with regulations concerning the handling of sensitive information, to give you the peace of mind you need, and the service that you deserve. 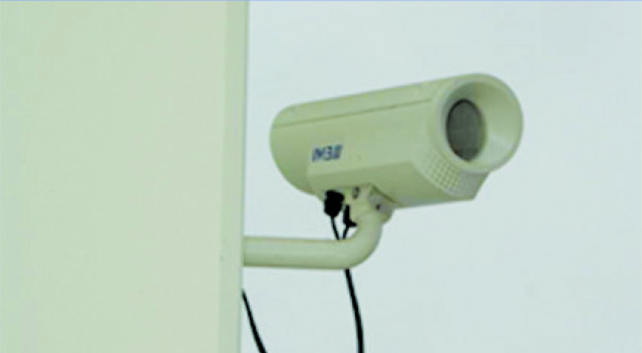 Corodata premises are monitored 24/7 from the entry ways to our warehouses. Limited points of entry into the building are monitored with motion and sound detectors. 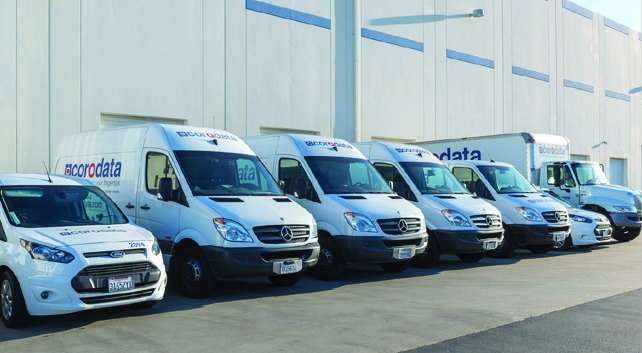 Our fleet of trucks come standard with auto locking doors and GPS monitoring to protect your information at all times. All Corodata employees are background checked and drug tested prior to hire. Only specifically trained and authorized employees are granted access to the warehouse. Corodata buildings are systemically engineered to stand up against earthquakes and designed to protect against fire threats. 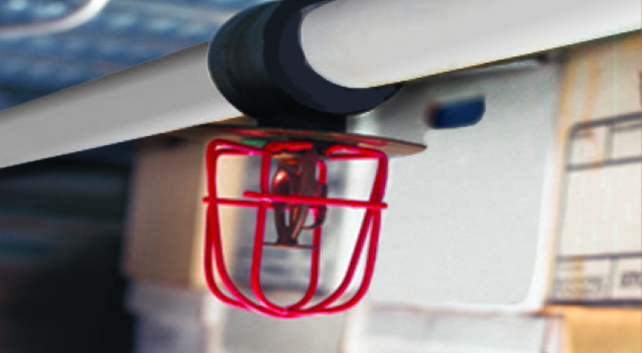 Our strategically placed fire sprinklers and racking layout utilize the most effective fire suppression techniques. 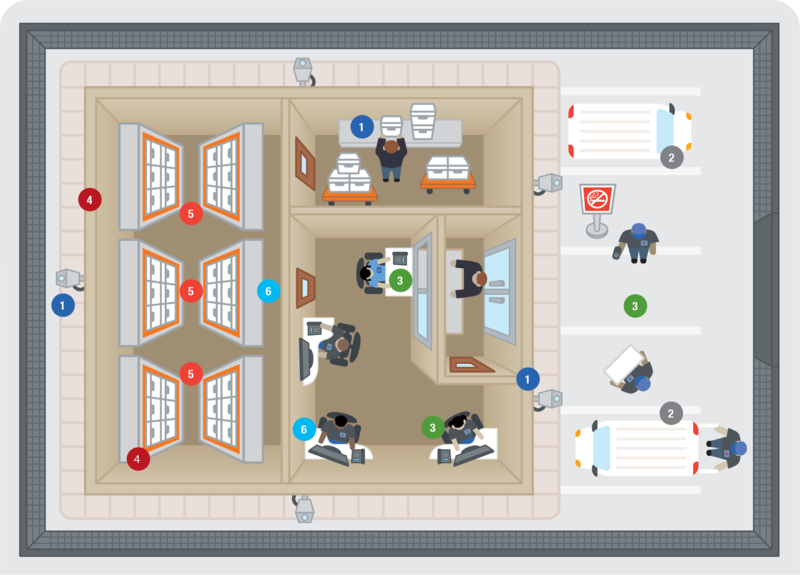 Corodata has a unique racking system in place designed to minimize risk to client information. Boxes are stacked no more than 4 high, preventing damage to boxes and reducing employee injury. 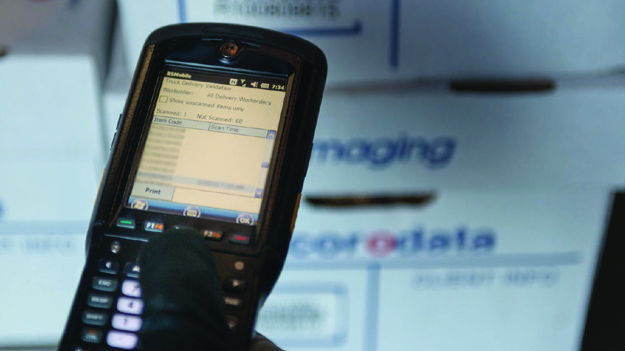 Corodata utilizes bar code software to track, monitor, and secure client information. From the moment your information is picked up at your facility, a detailed chain of custody report is created documenting all activity of the record. 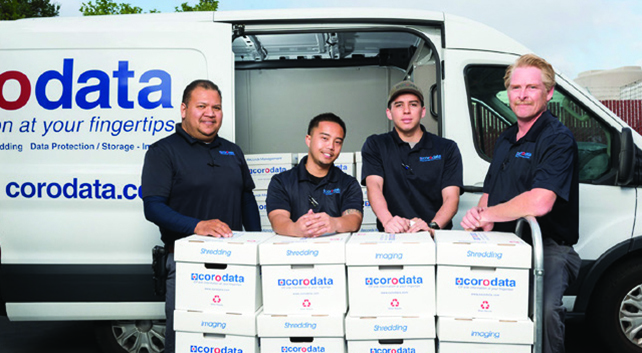 If you’re ready to work with the experts in secure records management, call us today, and find out why thousands of businesses just like yours trust Corodata to safeguard their business.